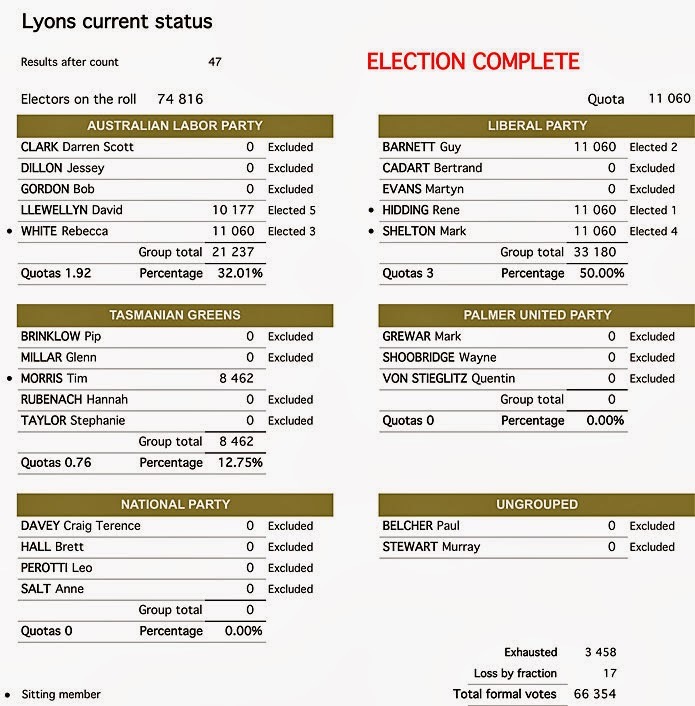 IT'S taken 11 days and the polling place figures still aren't available, but after 47 counts the Tasmanian Electoral Commission has tonight named the winners in the seat of Lyons following the March 15 State Election. 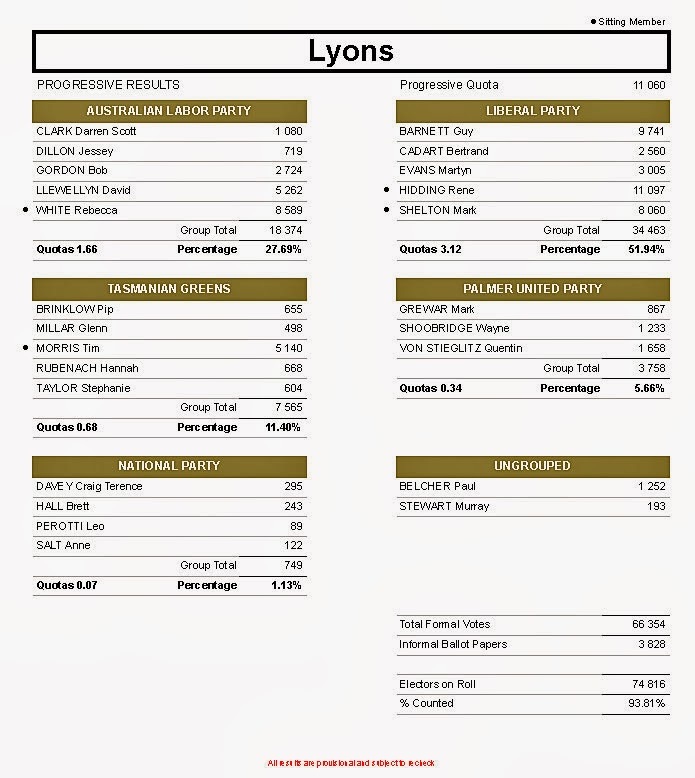 The result was announced at 6.42pm following the distribution of the preferences of Palmer United Party candidate Quentin von Stieglitz which saw former deputy premier David Llewellyn achieve a quota and a return to parliament after losing his seat four years ago. Mr Llewellyn's success comes at the expense of New Norfolk's Tim Morris, who had served as a Tasmanian Greens MP for 12 years. The former Derwent Valley mayor will now consider his future options which, according to ABC News, may include university study. Earlier today the electoral commission released the final first preference results, following the counting of postal votes. These figures appear below and it is interesting to note that the top five candidates match those arrived at after the distribution of preferences. Click image to enlarge or click here to view original.